What instances of media are available for research? What Constitutes a Medium That is Apt for Structured Knowledge? Some weeks ago, I learned that small, regional museums in Germany are beginning to search for new ways to present themselves and their objects online, e.g. by using videos or by using audio recordings of one form or another. Last week, I was approached by a fellow student from the Department of Southeast Asian Studies, who told me about audio-visual essays and the potential she saw in them. Surely, questions about the media of choice to present (scientific) knowledge in the digital age are beginning to be asked by the relevant players. And it truly is a most important discussion. In this post I will start gathering my ideas of what characteristics media of whatever form and format should have, to be fit for presenting scientific or structured knowledge on the web. I then proceed to use an example to showcase my current thinking on how a proper medium could be selected. This post is based on experiences and discussions I"ve had about the presentation of different kinds of sources online (from comics to academic writing to sculptures). While I am thus confident to have some level of insight into a rather wide array of affected fields, my insights might not be too deep into each of the fields and certainly lack in their empirical basis. They should thus be taken as suggestions at the beginning of a debate rather than any conclusive arguments. I start my text with a general listing and categorization of the media formats available: text, audio, video, etc. These very general categories of media themselves have sub-categories. An audio recording might for example be made of a presentation, where there may be only one speaker and an unclear number of listeners, or of a conversation between a number of equal participants. These sub-categories, too, need to be mapped. In the next part of this text, I will then discuss what I believe to be the requirement for media that are fit for discourse using structured or scientific knowledge. A most obvious example of this are surely references, which cannot be missing. Other important features must nevertheless be included to advance from industrial age (and earlier) notions of what the presentation of structured knowledge is supposed to look like. In the third part I use the example of a medal in a museum to work through the different media and look at which of them might be most fit to discuss different aspects of the object and what we might know about it. The common medium researchers have used for presenting their findings has for centuries been text. The text forms most commonly used were either books or articles, mostly distinguished by their length and the broadness of the discussion they focus on. Especially in scientific texts, references through footnotes and a bibliography have increasingly become a central feature. On the other hand, more openly narrative forms of texts have also become available for scientific discourse over time: philosophers may use short stories (or other fictional forms of text) to illustrate their thinking, ethnographers and social scientists might present life stories of the informants. Finally, blog entries or other text-based web pages have become available as a text-based medium with distinct features. Most prominently, hyperlinks offer a new, more direct, and also more readable way of referencing other works. Other media, like images or videos are increasingly easy to embed into these pages. Tools for high quality recording of sounds and speech have become increasingly available to an ever growing number of persons. While they have so far only rarely been used to publish the findings of scientific research, they have long been used to collect and store data from primary sources, e.g. interviewees for social science research or conversations in a discussion group. This form of audio recording centered largely on speech, recordings of music or natural sounds have however been very present for about a century, too. One of the main reasons audio documents have so far been problematic for scientific use are surely references. While one may read out loud the bibliographic data of a book one refers to, this is often just too lengthy to be practical and it is very hard to process without having a transcript, which in turn would again mean much work. A new and growing, not explicitly scientific, approach to audio recordings might help to overcome the lack of references. Coming from the podcasting scene, shownotes (e.g. references presented together with the actual podcast on the podcast"s website) might be a way to overcome the reference problem of audio recordings. Audio recordings have a variety of sub-categories, namely presentations, where one speaker explains a certain topic (possibly aided by the addition of sound effects), interviews, in which participants have clear-cut roles and a predetermined hierarchy, and simple conversations, in which the hierarchies are much flatter and participants just share their thoughts. Other, more artistic forms obviously also exist. Music, for example, might be used to spread knowledge of certain topics, but is commonly hard to fit into the framework of structured knowledge or, if so, often becomes artistically problematic. Much of what has been said above about audio recordings also holds true for video recordings. They have been used for the documentation of primary sources; they have increasingly, but often in problematic ways, been used for secondary sources; and they traditionally had a problem with references, which might be solved using shownotes. Videos are also a meta-medium, which might be used as an expansion of all the forms of expression outlined in the case of audio documents. Still images might also be put into order and presented as a video. Even text is sometimes presented in videos. While some of these forms of videos have only had limited success (e.g. purely text-based videos), others are have become common, e.g. documentary films and recorded presentations in front of an audience (e.g. from a conference). Still images are another medium used for the presentation of structured knowledge. They may be produced even more easily than audio or video recordings, using technology that is available to the majority of humans by now. Sub-categories of still images or making use of these are image series (e.g. in photography), single images, and infographics. Extensive metadata frameworks have been developed to document where, by whom, and with which technology photos have been recorded; photos often have these metadata embedded automatically by digital cameras and smartphones. An advantage of these metadata is that they are embedded into the file, and thus easily copied with the file. These metadata might also be used for other forms of (single) image files. Unfortunately, there seems to be no standard tag for references yet. Raw data are also becoming increasingly important as a published medium of scientific inquiry. As they are hard to present without selecting only a subset and adding descriptions, they are so far mostly only published to accompany more traditionally published expressions of scientific work, which usually means text. After this rather superficial overview of the available media and uses thereof, I will outline what I deem to be necessary characteristics of a medium that is fit to be used for the presentation of structured knowledge in the 21st century. I strongly disagree with the notion, that the presentation of structured knowledge should be kept apart from any other presentation of knowledge. E.g. documentary films have commonly only presented primary sources in the form of "talking heads", without making reference to secondary sources used in the creation of the documentary. On the other hand, academic writing has developed its own jargon(s), which are not readily accessible to everybody. Especially with the possibility to embed references directly into a file's metadata (which was not possible in the same, covert but easily processable, way before) distinctions between "public" and "scientific" have little legitimacy. A medium for the presentation of knowledge should thus be universally usable, and permit publishing in the same way for different audiences - at best different audiences at the same time. Second, one of the main advantages of digital data is its easy reproducibility: perfect copies of a file can be created with a simple copy-paste command. So far, this is mainly the case for the actual work itself, e.g. a journal article or video file. This "main" file is often readily accessible, say, available for download. Relevant metadata on the other hand is often stored apart from the "main" file, e.g. when scientific publishers list references on the page for a given article on their website, but do not make them downloadable in any way but a copy-paste of the text. To stay with this example: references presented in this way are comparatively harder to download for the majority of people, are not presented in a standardized way, since they might use different citation styles, and are harder to copy. If a person was thus to share the article by copy-pasting the respective file, the extracted references would usually be lost. This essentially means that references directly embedded into the same file as the "main" work are to be preferred over storing them elsewhere. Ideally, they should also be embedded in a standardized way, which makes them easily processable (and thus also makes the development of different tools for presenting all or different aspects of the work easier - say, makes it more publicly accessible). Finally, another aspect is the possibility to remix contents, to take parts of an existing work and re-publish them in an edited form (maybe with additions from other sources). This may also concern the possibility to quote something, e.g. in the case of documentary films, which embed parts of other films. For this to be possible, a given medium needs to be available in a format that is sufficiently open to editing - and things should be licensed using a sufficiently open license. To sum up, a medium used for the presentation of structured knowledge should be accessible and attractive to as many people as possible, and it should feature traditional means of structuring knowledge like references without the need to embed them in a way that makes it less attractive to users. This means that it should be possible to embed references into the file, in a way that is easily machine-readable - e.g. in a similar fashion to how locations and dates are embedded into photos already. Ideally, but optionally, the work should then be published in an open way, using open licenses and file formats. Finally, the creation of a work using the given medium needs to be possible in a cheap but high-quality manner. Finding an appropriate medium for the presentation of knowledge obviously depends very much on the given context. The actor who wants to present something, the target audience, the available means, and the topic to be presented change from situation to situation and determine what media will be most apt in the end. The possibility to embed references into a file"s metadata is available to almost all file formats. Unfortunately, it seems to be a largely overlooked possibility to embed references directly into them (Dublin Core has been used as a specification for XMP metadata anyway, and Dublin Core features references). Open formats are available for all major media. Similarly, a variety of (to different degrees) open licenses, e.g. the Creative Commons license family, are available to choose from. Hence, the basic building blocks for the presentation of structured knowledge are readily available for all digital media. The choice for or against one can thus be made entirely based on what is to be presented. A few things might be missing, specifications for how exactly references are to be made and tools to display those properly, but especially the latter could be implemented easily. As has been said above, though, the question of how appropriate a given medium may be for the presentation of knowledge can only really be answered in a given context. I will thus proceed with a discussion of the different media and their sub-categories in light of their potential use to present information on the "Banner der Arbeit" medal at Museum Weißenfels - Schloss Neu-Augustusburg. 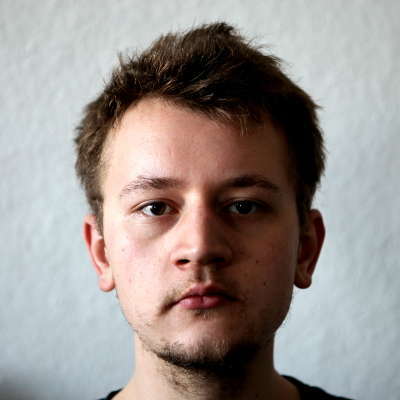 Me being able to link to the objekt"s page on museum-digital.de means that two media (and expressions thereof) are already used: A text-based web-page displays general information on the object, photos of the object are used for illustration. The text-based information is limited to some very basic data, categorization, and some references. Especially in the case of museum objects, there is often the problem, that they hold two meanings: the object is the object itself, but it is also a representation of all objects of its kind. This already becomes visible when one reads the object description. 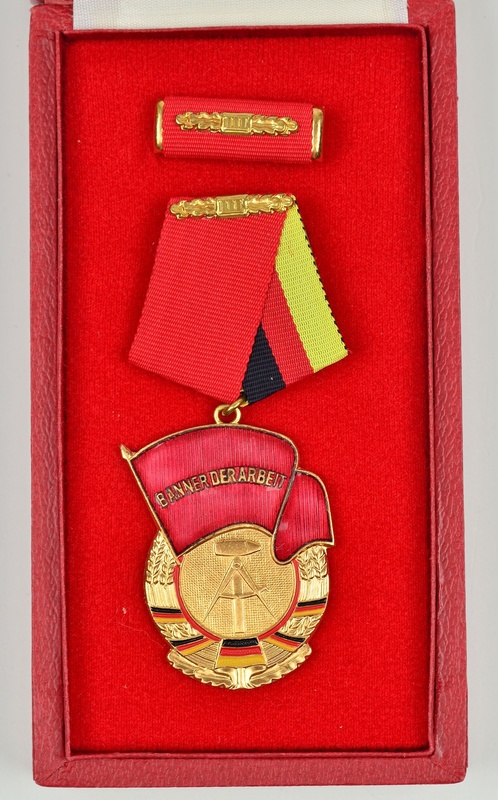 The first sentences outline the history of all "Banner der Arbeit" medals (having been originally created in 1954, while the kind presented here was introduced in 1974), but the last sentence refers either to the image of the object or to the concrete object itself. This may have been the original case, but surely not all "Banner der Arbeit" medals are still with their cases - and much less will all of the remaining medals lie in the respective case. The distinction between the concrete object and its role as a representative for all objects of its kind is important when considering different media representations of it. Some media might be unfit to for one role, but very fit for another. In how far can audio aid the presentation of the "Banner der Arbeit" medal? An intuitive but problematic idea would be to publish a short audio file in which someone reads out the inscription. A second thought leads us to ignore this idea, since the inscription a) has only three words and b) is text-based and might as well be presented in a text-based form, which requires less work, skills, time, and possibly money. A second idea might be to do interviews with previous holders of the honor, for which the medal was given. Since the medal is still relatively new, informants should be rather easy to find. This use of media would surely be insightful and it would capture the informants" stories much better than a transcript of what they say could (since the transcript would be missing dialects, changes in voice, etc.). While information gained from those interviews would deal with the general object category ""Banner der Arbeit" medal"", an interview with the donor of the concrete object could give valuable information on the history of the object itself (e.g. : was it an inheritance? If so, when was it inherited and from whom?). This information could then be summed up in text or data by using it for categorization (as can be found on the bottom of the web-page of the object). A conversation about medals of this kind could also be recorded with experts on the topic. Since people seem to be more willing to listen to long conversations than to read long texts on the web, and since the creation of chapters within audio files is no larger problem anymore these days, context information (e.g. on the reasons for which medals were handed out in the GDR in general) might be brought in here. Less realistic are audio documentaries, which might either outline the history of the object itself or the process of research on it. While the former would require more information than is likely to be present, it can be ruled out quite easily. The latter would require much research being done on the concrete medal and is also rather unrealistic, given the lack of funds most museums and researchers face. Even if substantial research had been done on this concrete object, this would be most exceptional. Video has the same (and more) possibilities as audio recordings have. In case sufficient funds and manpower exist in an institution, interviews as suggested for the use of audio might thus be recorded as videos, too. On the other hand, funds and manpower are still a much larger problem with videos than they are with audio recordings. Given these restrictions, it likely makes more sense to do audio recordings of the informants where this is sufficient. Formats that can profit much from the use of video are for example documentary films. In case they are to be really focused on the object itself, these are however surely too expensive to create with sufficient quality (even just from a technical standpoint, regardless of whether enough information is available to film a documentary on the object). Another format that could profit much from video is the recording of visitors" interaction with the object, which is often non-verbal. While rather removed from the object itself, such recordings could offer interesting information on how visitors react to objects from the GDR as compared to objects from Western Germany, the area in medieval times, or other time periods and places. Recordings like these should also be rather easy to make, even if visitors would need to be informed about it beforehand. Altogether, video might be a problematic choice in presenting information on single objects because of the still rather high costs of producing sufficiently high-quality video documents. If one were to do an exhibition however, promotional videos - maybe using a bit of the object information - might be easier and more usefully done. Images are already used in the presentation of the medal: Two still images of the medal from different perspectives. This gives the user a sufficient idea of what the object looks like and I don"t think that there is much more to say about still images. Infographics might be a slightly different case: using these, the same information currently displayed as text on the object"s web-page could be illustrated. As this does not offer any new information, it might be a rather negligible option unless automated creation of infographics based on the available information is added as a feature to the platform. To sum up once again, I argue that references should be a necessary requirement for as good as all officially published works by now. These references should be made available in a machine-readable way and within the same file as the work for which they stand. Doing so would make "common" works feature the advantages of scientific publishing while not being as hard to consume as scientific publishing is right now. Scientific publishing on the other hand would benefit by being more accessible to a larger audience without becoming less scientific. Directly embedding references this way would also make the work more easily shareable; which is to say, one would not give up on one of the main advantages of digital publishing. After this basic matter, the selection of media for the presentation of knowledge is very much dependent on the context. Creator or creating institution, aims, different aspects of what is to be presented, and target audience all could completely change one"s choice. Finally, I need to repeat that this is just to be taken as a starting point. Many important aspects, e.g. feedback from users/audience, remixes, and the generally faster and faster changes in knowledge have only been hinted at. Discussions of these sure need to follow, from a practicioner"s perspective, from the user"s perspective, from a technical perspective and at the intersection of all these. : Each DOI costs a publisher, and there have been cases where a supposedly eternal DOI has turned out to be invalid, too. To be fair, the case I am referring to was a journal article, and it may thus be, that the publisher simply printed a wrong DOI. CMS Author-Date Enslin, Joshua Ramon. 2016. “New(?) Media And The Presentation Of Knowledge”. Jrenslin.de. https://jrenslin.de/post/22. CMS (Footnotes) Enslin, Joshua Ramon. “New(?) Media And The Presentation Of Knowledge”. Jrenslin.de. https://jrenslin.de/post/22. Harvard Enslin, J.R., 2016. New(?) Media and the Presentation of Knowledge. jrenslin.de. Available at: https://jrenslin.de/post/22.